Trump’s first federal budget is out, and the headline is that, the Europa Lander will be no more, for now. May be in future it get some budget? There’s always the chance it will be picked up again in the future. While it’s pretty terrible news for education and environmental science, it’s a bit of a mixed bag for NASA. The budget got the recommendations from Congress last week, covers economic year 2018, which begins on October 1 this year. NASA has been given $19.1 billion, with a decrease of 0.4 percent as compared to the last budget proposed by Obama’s administration. As it’s not a final budget, but it does give an idea of what Trump wants to do with NASA. The House and Senate will now examine it, make changes, and send it back to be signed. 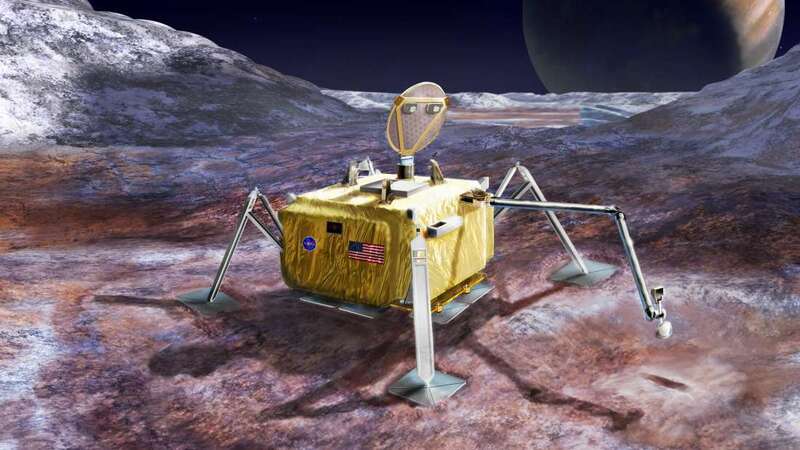 The budget proposed that the funding for the mission to Europa in 2020s called Europa Clipper, would continue. This mission has some amazing objectives to follow on as this will fly past the moon multiple times to make it sure that the ocean beneath its icy surface might in habitable. The document states: “The Budget provides no funding for a multi-billion-dollar mission to land on Europa, America First: A Budget Blueprint to Make America Great Again”. NASA’s Planetary Science division, which would get a 20.1 percent boost in funding from the previous budget, for the Europa Clipper. But a cut of 12.9 percent for the Earth science. NASA’s involvement in several satellites would be cancelled, although some like DSCOVR could live on through the NOAA. Those hoping Trump wouldn’t be aiming his chopping block at climate science and education are in for a bit of a shock. It does pledge funding to support “astronauts on deep-space missions”, but the budget makes no specific mention on getting humans to the Moon or Mars, the other big losers are aeronautics, which is cut by 26.6 percent, and the Office of Education, which would be scrapped. Funding to the companies like SpaceX and Boeing would continue, to begin taking astronauts to low-Earth orbit in the next few years. Although NASA’s funding remains stable, there are certainly some questionable decisions here.